Livia was only four years old when she started riding a motorbike. Before she was 14, she had already competed in 50cc, 60cc and 80cc, even in the same category with boys. At the age of 14 she started competing in 125cc. When in 2005 the first women World Cup in Motocross took place, she finished 3rd. 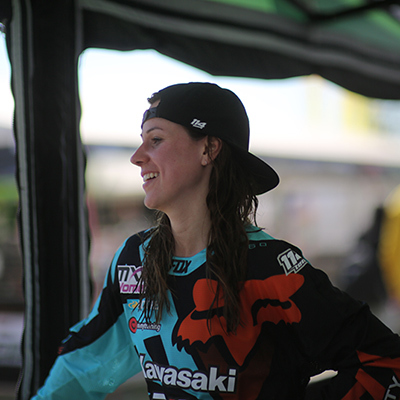 Since then, she has had a steady competitive career, and although with many ups and downs, remained in the elite of female world motocross. Lovemytraining started supporting Livia in 2016, year in which she had her best career success by winning the World Motocross Champion Title and in 2017 when, after very exciting season, finished 2nd in the World. At the end of 2017 Livia finished her racing career and took up the new challenge in team management. We thank Livia for her trust in Lovemytraining and wish her all the best in her new endeavours.